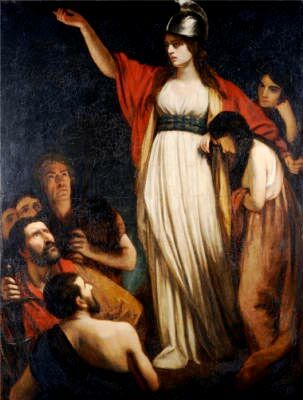 Little is known about Boudicca's upbringing because the only information about her comes from Roman sources, in particular from Tacitus (56 – 117 AD), a senator and historian of the Roman Empire, and Cassius Dio (155 – 235 AD), a Roman consul and noted historian. However, it is believed that she was born into an elite family in the ancient town of Camulodunum (now Colchester) in around 30 AD, and may have been named after the Celtic goddess of victory, Boudiga. As an adolescent, Boudicca would have been sent away to another aristocratic family to be trained in the history and customs of the tribe, as well as learning how to fight in battle. 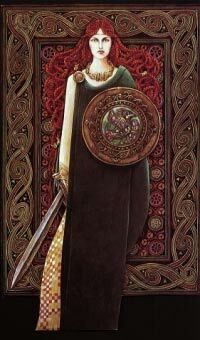 Ancient Celtic women served as both warriors and rulers, and girls could be trained to fight with swords and other weapons, just as the boys were. Celtic women were distinct in the ancient world for the liberty and rights they enjoyed and the position they held in society. Compared to their counterparts in Greek, Roman, and other ancient societies, they were allowed much freedom of activity and protection under the law. Celtic woman were trained to use swords and other weapons. Image source . In 43 AD, before the time that Boudicca reached adulthood, the Romans invaded Britain, and most of the Celtic tribes were forced to submit. However, the Romans allowed two Celtic kings to retain some of their traditional power as it was normal Roman practice to allow kingdoms their independence for the lifetime of their client king, who would then agree to leave his kingdom to Rome in his will. One of these kings was Prasutagus, whom Boudicca went on to marry at the age of 18. Their wedding was celebrated for a day and a night and during this time they also gave offerings to the Celtic gods. Together they had two daughters, called Isolda and Siora. However, it was not a time of harmony for Boudicca and Prasutagus. The Roman occupation brought increased settlement, military presence, and attempts to suppress Celtic religious culture. There were major economic changes, including heavy taxes and money lending. In 60 AD life changed dramatically for Boudicca, with the death of her husband. As Prasutagus had ruled as a nominally independent, but forced ‘ally’ of Rome, he left his kingdom jointly to his wife and daughters, and the Roman emperor. However, Roman law only allowed inheritance through the male line, so when Prasutagus died, his attempts to preserve his line were ignored and his kingdom was annexed as if it had been conquered. And so Boudicca began her campaign to summon the Britons to fight against the Romans, proving that ‘hell hath no fury like a woman scorned’. These articles which i see often here and which are the focus of strong women in his-story, affirm for me that what my grandparents told me, holds true. She would say that "the world is turning over and a new balance will be found; soon you will be blessed to see the waning of his-story, to make room for her-story". I for one, enjoy them thoroughly...thank you...keep them coming. Great summary of what's known of this iconic figure - thanks! this Might Be Why the roman empire was hit by the plague 3th century with rats gathered out of india for it! I believe the correct quotation is, "Hell hath no fury like a woman's scorn"... I do not know why everyone seems to misquote it as "Hell hath no fury like a woman scorned". I'd be interested to know where your "woman's scorn" comes from. The widely-quoted “Hell hath no fury like a woman scorned” is from William Congreve's "The Mourning Bride." 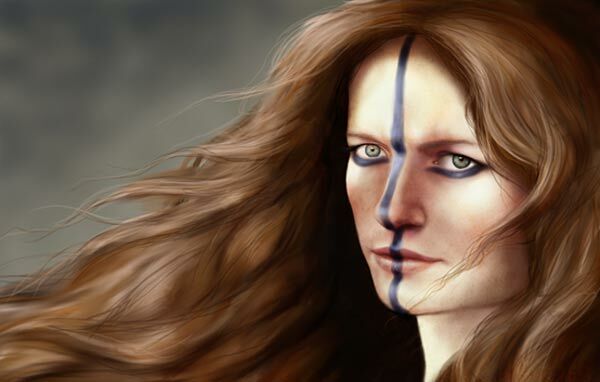 Read more about Is Celtic Birdlip Grave the Final Resting Place of Queen Boudicca?